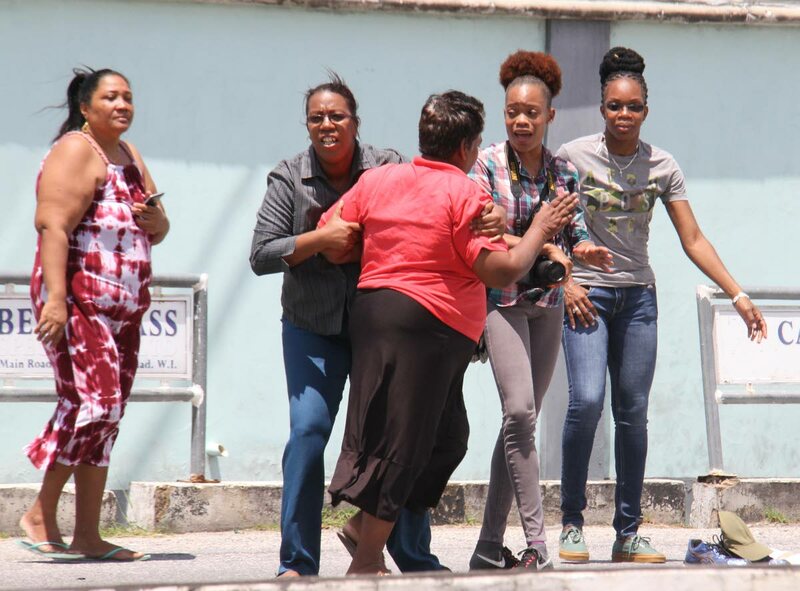 A RETIRED postal office worker died after being knocked down by a marked police SUV yesterday while he tried to cross the Priority Bus Route (PBR) in Barataria. This road fatality took place three days after an Arima woman who was walking along the pavement in Diego Martin was knocked down and killed by a car driven by an SRP. Commissioner of Police Gary Griffith in a release issued yesterday said that the two policemen involved in these accidents which resulted in the deaths of Michael Barry - killed yesterday - and Shervon Medina - killed on Tuesday - have been banned from driving official police vehicles pending the outcome of investigations. The release announced that Griffith was “personally treating” with the investigations of both issues and that an internal review of police driving standards has been ordered. Barry, 73, a retired TT Post worker was killed while trying to cross from south to north along the bus route at 11 am yesterday. Closed-circuit tv (CCTV) video images showing Barry being runover by the SUV which was heading east along the bus route were uploaded to social media and have since gone viral. Barry’s neighbour and long-time friend Laurence Smith visited the scene of the accident and made an emotional call for a full and thorough investigation. “I want the truth to come out with what happened here today,” he insisted. Two more of Barry’s neighbours burst into tears when they saw his body covered in a sheet. They also called for a thorough investigation. The SUV involved in the accident yesterday was removed less than an hour after the accident. On Thursday, a marked police car was involved in an accident along the Valencia Stretch, when it collided with a pick-up van, but no one was killed. On Tuesday night, Medina, 46, was walking along the pavement off the Diego Martin Main Road when a car veered off the road, mounted the pavement and ploughed into her at incredible speed. Medina died at the St James health centre. The driver, an SRP who is based at the Emergency Response Unit (ERU) was treated and sent home. Medina’s relatives too are calling for a thorough investigation and insist that the SRP should be locked up while investigations are continuing. President of the Road Safety Council Stan Huggins, reacting to the accidents, said, “We need to train the nation to be good road users. We are losing too many people because of poor use of our roads.” He said at the Croisee in San Juan he sees people crossing the road even when the lights are on green every day. “This calls from programmes in schools and communities.” He said at the moment he is in sorrow, and is praying for the family of Barry.